What do people think/feel when they walk into your home? First impressions matter, make sure that what they see first is something that will make them feel comfortable and not running for the door. 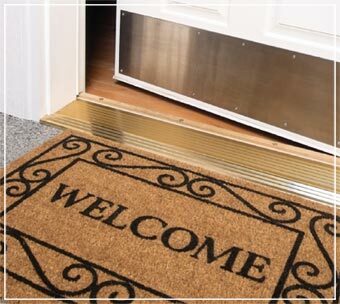 Make sure that your home is welcoming to others, here are a few tips for when having others over, aside from it being clean. Always have yummy and time appropriate snacks and beverages for your guests. Don't serve muffins after dinner or cupcakes before lunch. I'm not saying your home has to look strait out of pottery barn, but try to make sure it is something that will allow others to feel welcome. Also, beanbags are cool in college and for under, but not for grown ups. Ditch the bean bags and invest in a nice sectional, or couches. Ofter them food/drink first, allow them to choose their seats. It makes them feel more at ease, and shows that you value them.